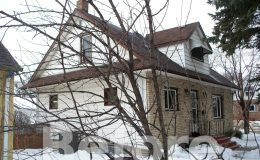 Loving this fantastic neighborhood and needing to expand to accommodate a growing young family, this couple choose to reach to the heavens for the solution. 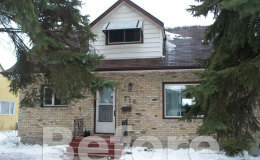 This storey and half was converted to a true 2 storey. 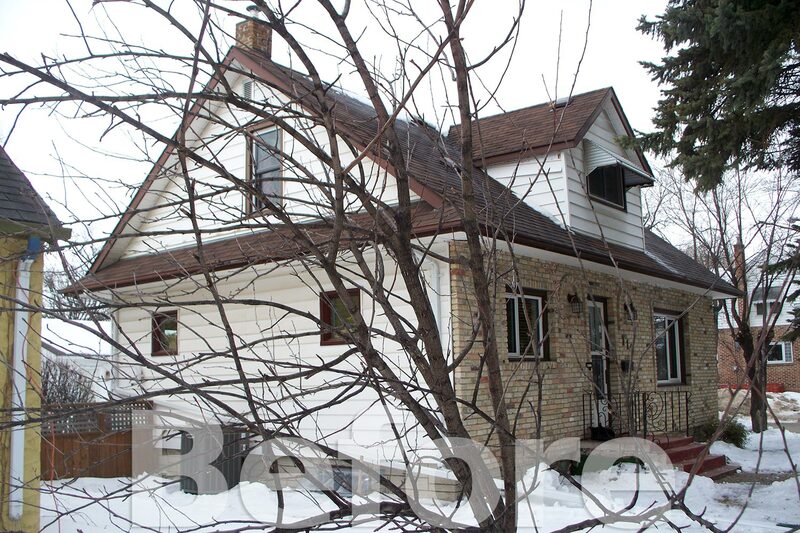 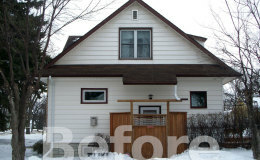 The entire ½ storey was removed and a full height 2nd storey added. 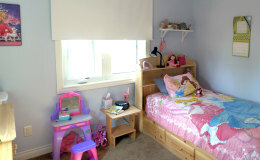 2 good sized kids bedrooms, 3 pc. 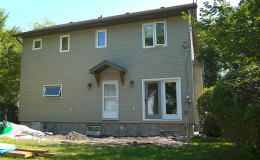 main bath, large master bedroom with ensuite and walk-in closest was all contained within the new 2nd floor . 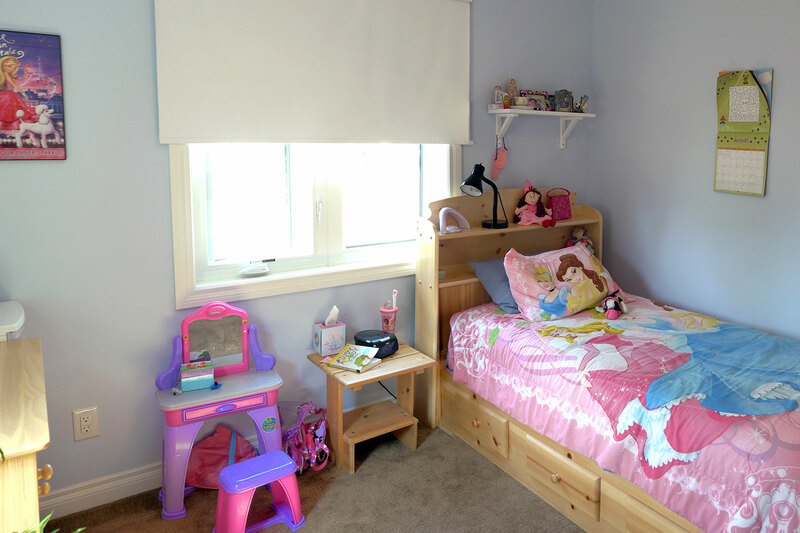 This freed up space on the main floor to create a new back door with powder close by, TV / family room and a dedicated play area within the current main floor. 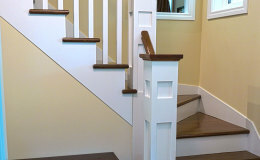 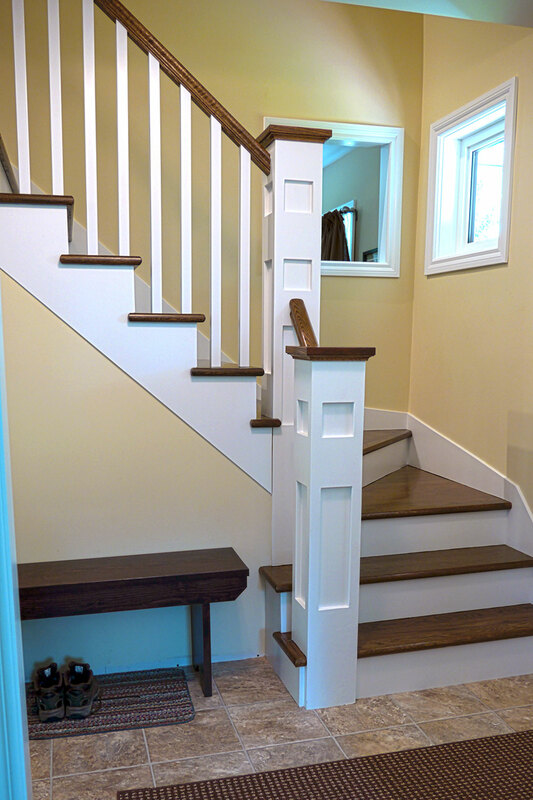 A show piece character stained oak and painted wood staircase highlights the front entry. 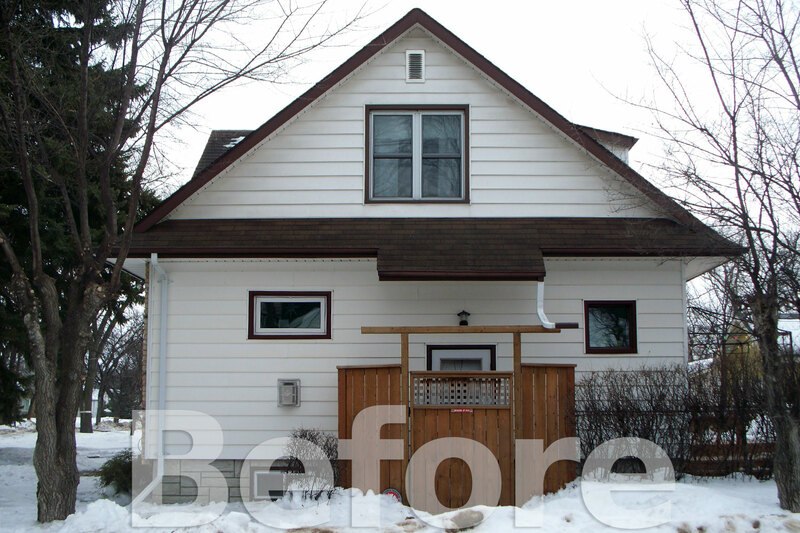 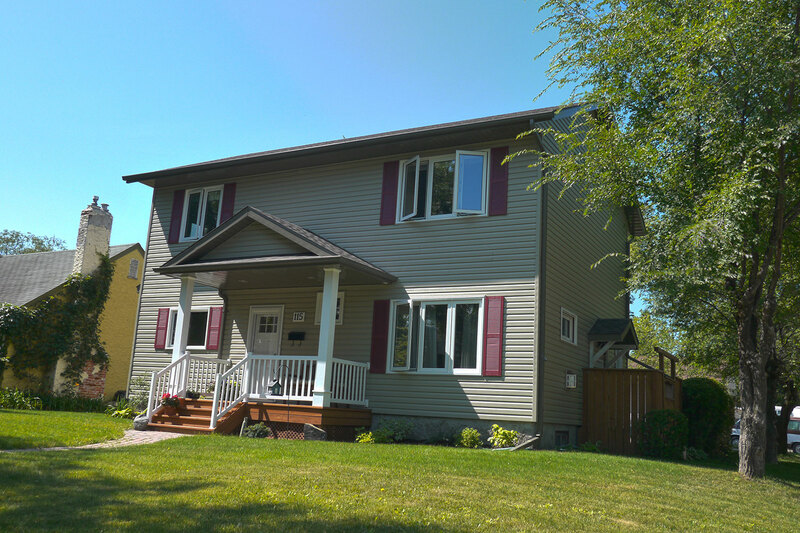 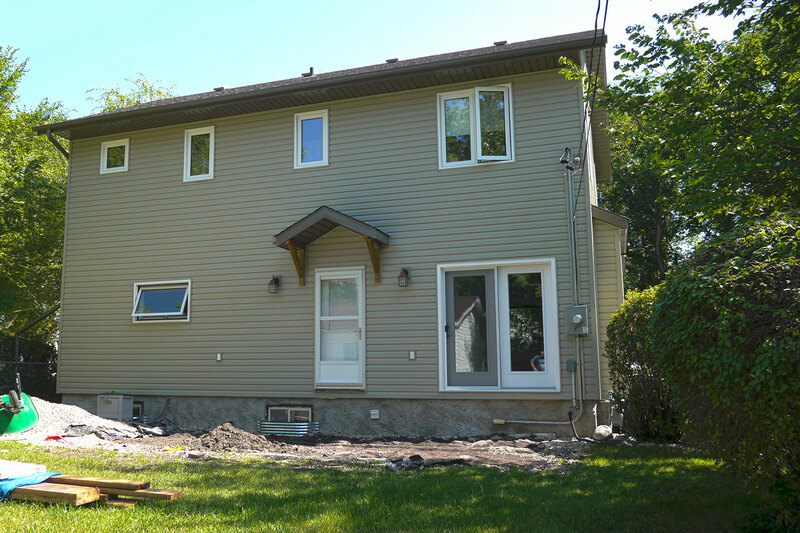 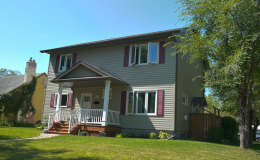 Outside all the old finish was stripped off and new maintenance free siding installed. 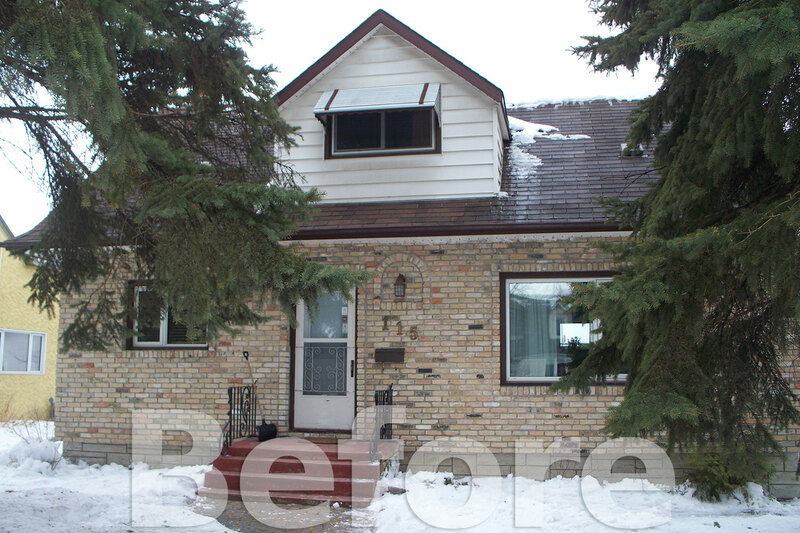 A tidy small but effective front porch entry capped off the exterior makeover .